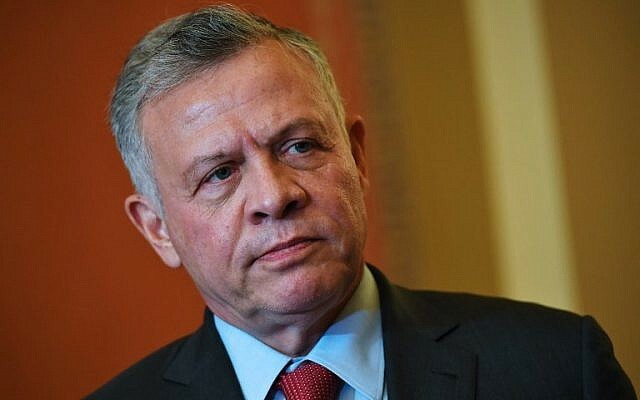 Jordan’s King Abdullah II declared Wednesday that Jerusalem was “a red line” for his kingdom amid rising tensions over a contested building at the city’s Temple Mount. “Jerusalem is a red line and we won’t change our stance. It is our duty to protect the Muslim and Christian holy sites in Jerusalem,” Abdullah said while touring the Jordanian city of Zarqa. Abdullah’s comments came after a Jerusalem court on Sunday said the compound known as the Gate of Mercy or Golden Gate on the Temple Mount should be closed while legal proceedings continue. The ministry called on Israel to cancel the court’s decision and not harm the status quo at the flashpoint site. Israel captured East Jerusalem from Jordan in the 1967 Six Day War and under the 1994 peace treaty between the countries recognized the kingdom as the custodian over the Old City’s holy sites. 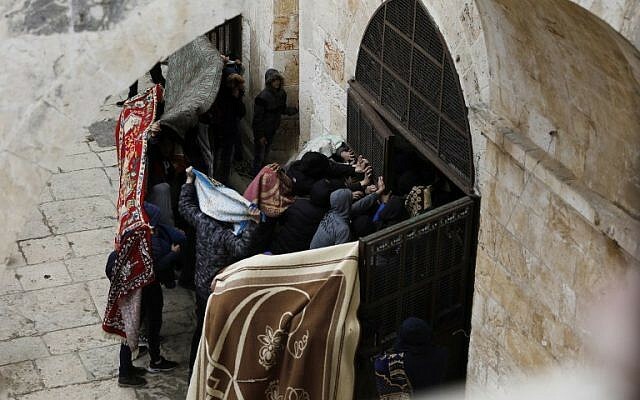 The court order came two days after Palestinian worshipers ripped the doors off the entrance to the site shortly after Friday prayers, despite instructions from the Waqf urging calm. A group of protesters also raised the Palestinian flag on the roof of the building, which was then removed by police. The Gate of Mercy was sealed by Israeli authorities in 2003 because the group managing the area had ties to Hamas, and it has been kept closed to stop illegal construction work there by the Waqf that Israeli officials said had caused irreparable harm to archaeologically significant parts of the holy site. Israeli officials believe the work carried out by the Waqf, which refused to allow any Israeli observers, has led to the destruction of antiquities from periods of Jewish presence in the area. The Waqf has repeatedly challenged the closure, convening and staging prayer-protests in the area that often erupted into clashes with police. Last month, the Waqf reopened the site and Palestinian worshipers began to use it as a mosque, despite Israeli attempts to keep the area sealed. Since then, several low-level clashes have broken out between Palestinian worshipers and Israeli security forces. Last Thursday, police sealed off the entire Temple Mount after a firebomb was thrown at an officer, who was lightly hurt in the attack. High-level Israeli and Jordanian officials have been holding talks in the hope of defusing the situation. Earlier this month, Israeli officials traveled to Jordan for meetings, and Jordanian officials have also visited Jerusalem, according to Israeli reports. The talks were ongoing and the sides have yet to come to an agreement, the Haaretz daily reported. Jordan has suggested that the site be closed for long-term renovations. While the Israelis agree, they insist it must first be closed without renovations taking place, as a statement of Israeli authority. This disagreement has reportedly stood in the way of a deal.